I've been cooking since I was six. Sure, back then it was limited to microwaving bowls of instant ramen or melting cheese onto crackers, but it quickly developed into frying eggs, boiling noodles, browning beef, and making spaghetti, chili, stews, casseroles, and numerous other things that I would have never been introduced to by my parents. My spaghetti's gotten better over the years. And in the days, weeks, and occasionally months during my childhood and teenage years when I was left alone to take care of myself, cooking became a very crucial skill in perseverance and survival. My ability to make food became one of the foundations of my sense of independence and self-reliance. During the couple of years in college in which I had access to a kitchen, cooking became my way to maintain an oasis of Thai cuisine, making for myself the meals that the restaurants of Santa Cruz never could. When I returned to Los Angeles and got my own place, I decided that my subsistence cooking, built from childhood habits and false assumptions about food preparation, was no longer enough. I wanted to learn proper culinary practice. I stopped solely referencing individual recipes and started to study techniques. I watched Alton Brown's Good Eats and Heston Blumenthal's In Search of Perfection – really watching and listening to learn their methods and reasoning behind what they were doing. The food blogs I read changed from ones about mere consumption to ones dedicated to thinking about, understanding, and creating the meals we eat. I bought books on gastronomy and theory, and started to take a more serious look at traditional French and Chinese practices. ...into this. 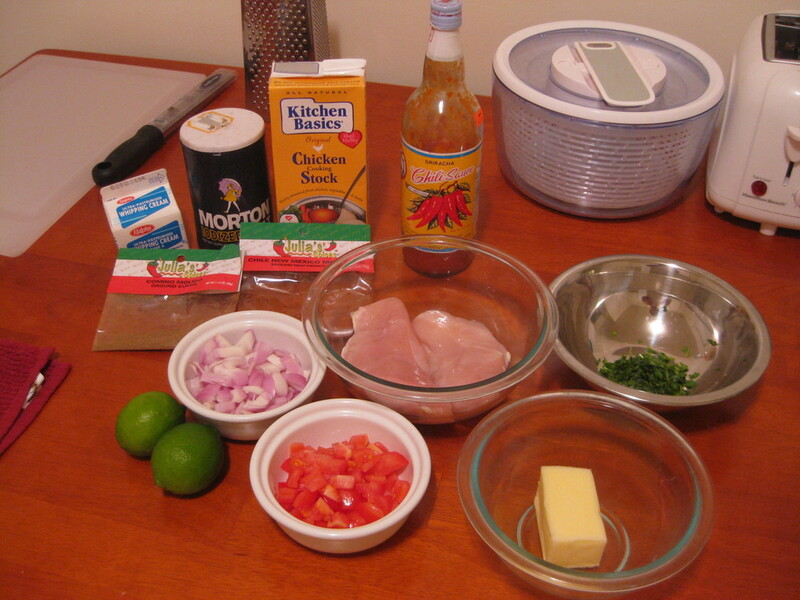 Sauteed Chicken Breast with Sriracha Chili Lime sauce. And so in 2009, I began my Adventures in Cooking. I started to photograph ingredients and their resulting dishes, pushing myself to try new dishes, refine how I made old ones, and even learn to plate. Four years later and I now have this (sparsely populated) food blog. I also am four dinner parties into practicing Eat Kune Do, creating custom menus based on the tastes of my guests. B) What do you feel is a fair suggested donation? My usual process for these dinners is to survey my guests about what they love to eat, dislike eating, and absolutely cannot eat. Favorites, food memories, and guilty pleasures, as well as restrictions, allergies, and what disgusts them all are taken into consideration. I then craft a menu based on the tastes of my guests and what I want to make. I'll spend a few hours buying (or otherwise sourcing) ingredients, and then 5-6 hours preparing and cooking all the food. I put a lot of time, thought, effort, passion, and love into each dinner, and look forward to the opportunity to share it each time. I then use your input to create dishes like this risotto with asparagus, spring garlic, and spring peas served with honey-miso braised short rib. That being said, I want to make these dinners worth it for each and every one of you while making it sustainable for me. If you're interested, please click below and fill out the form, and I hope you'll join me for dinner.